I’ve been making these for the last 14 years or so – with success smaller or bigger, but they do make a charming tree decoration and they are rather easy (and relatively cheap) to make. Thread one “tip” seed bead more or less in the middle of the wire. Bend the wire so that the bead is at the tip of that bend. Thread one “tip” faceted bead on both ends of the wire – closing the loop with the seed bead. And thread the wire through the white centre bead added at the beginning of this arm, thus closing the arm. Repeat the operation of adding new arm until you have 5 arms. In order now to create the last arm and close the star, the wires have to be again threaded in symmetry. First, add a bit centre bead on each. 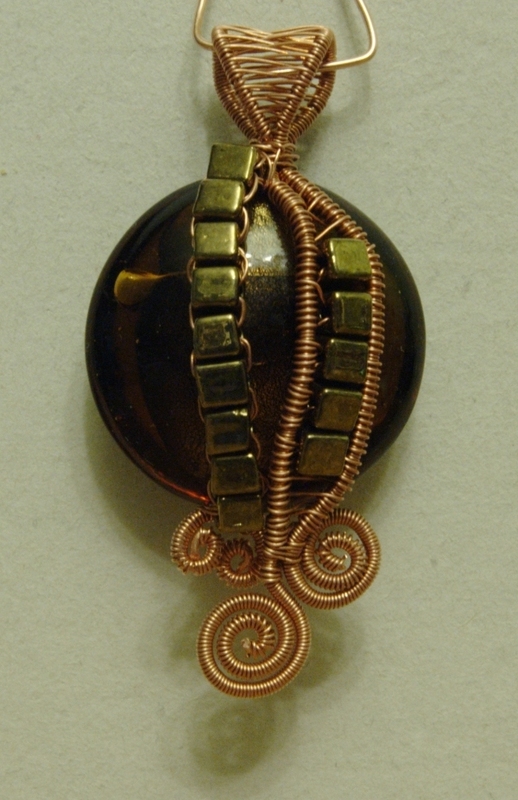 Then add the white centre bead on one of the wire ends, and thread the other one in opposite direction (creating an X). Add three seed beads on each wire and thread the wire ends through bigger faceted bead on respective arms. 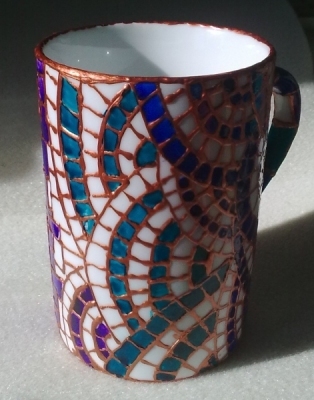 Now, build the rest of the adm, adding two smaller faceted beads and three seed beads on each. Now, with the wire ends hanging free, you can make them into a nice loop that may be used to hang that star. Wrap one end around the cover of a lipstick (creating a bunch of nice little loops) and then wrap these loops with the other end of the wire to make it stay in shape. 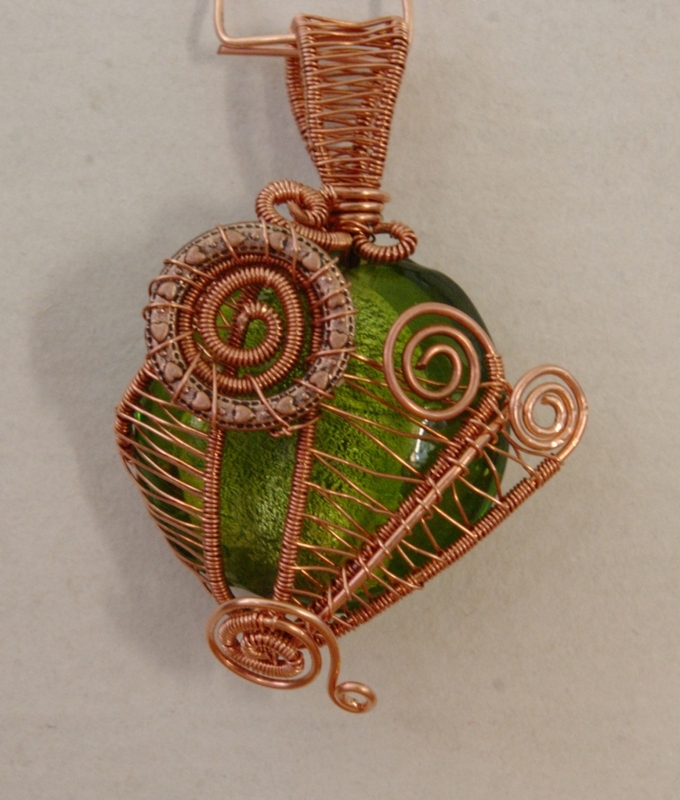 Puffed coin of light green lampwork, silver-filled glass, wrapped in copper wire, plus a small, heart-stamped ring of copper-colored metal. 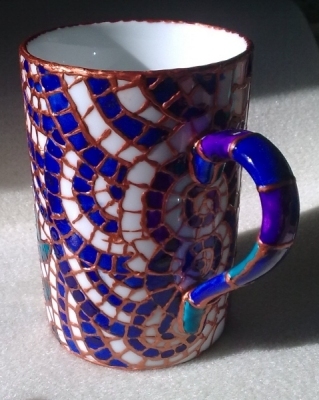 A white cup, painted and baked to make the paint water/wather/dishwasher proof. 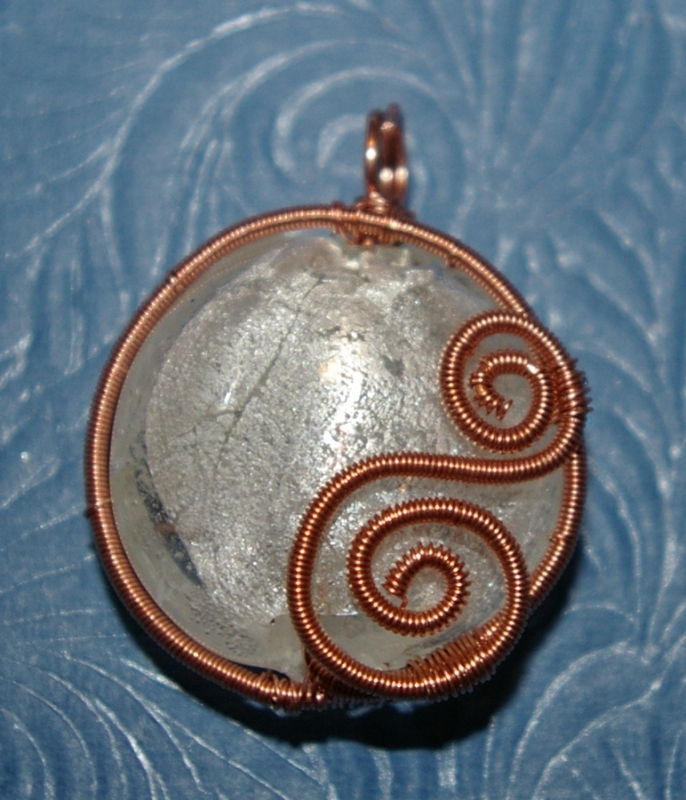 Aescetic black wire and white bead combination. 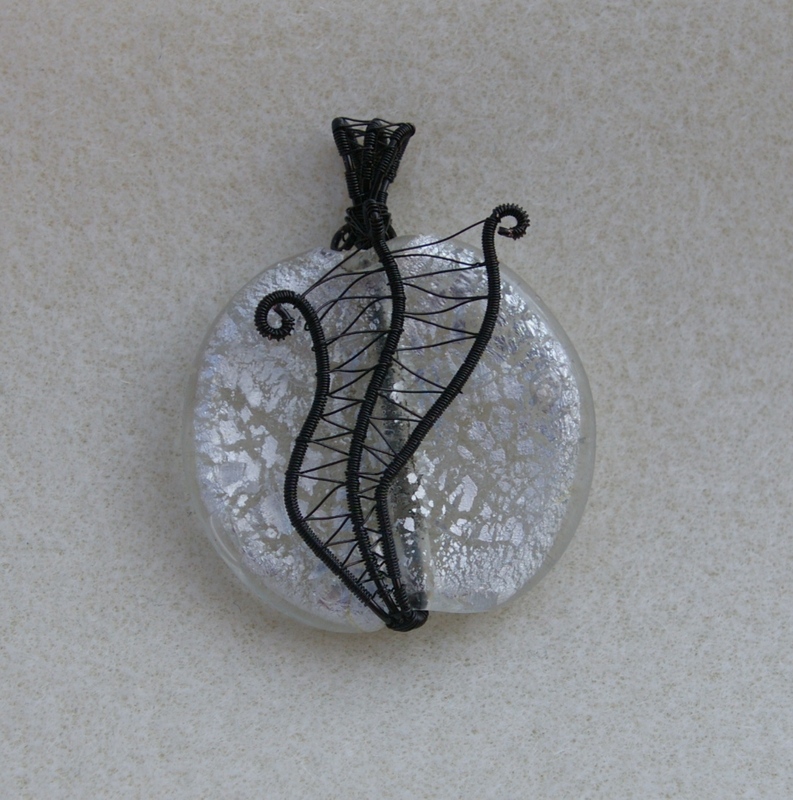 Black wire gives high contrast with silver-lined white beads, and I quite like the effect. 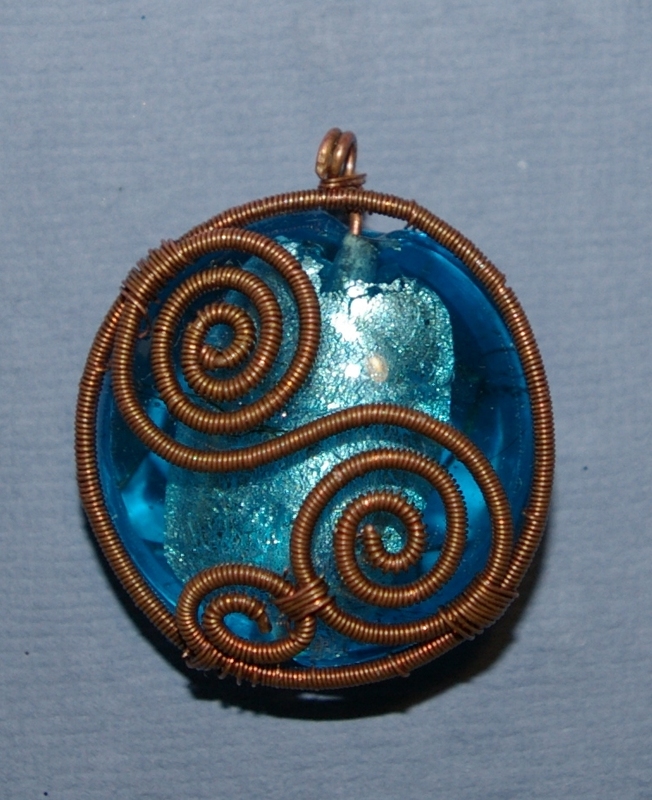 The blue glass works nicely with copper wire, as it has rare, saturated color (unlike some washed-out blues available in various shops). 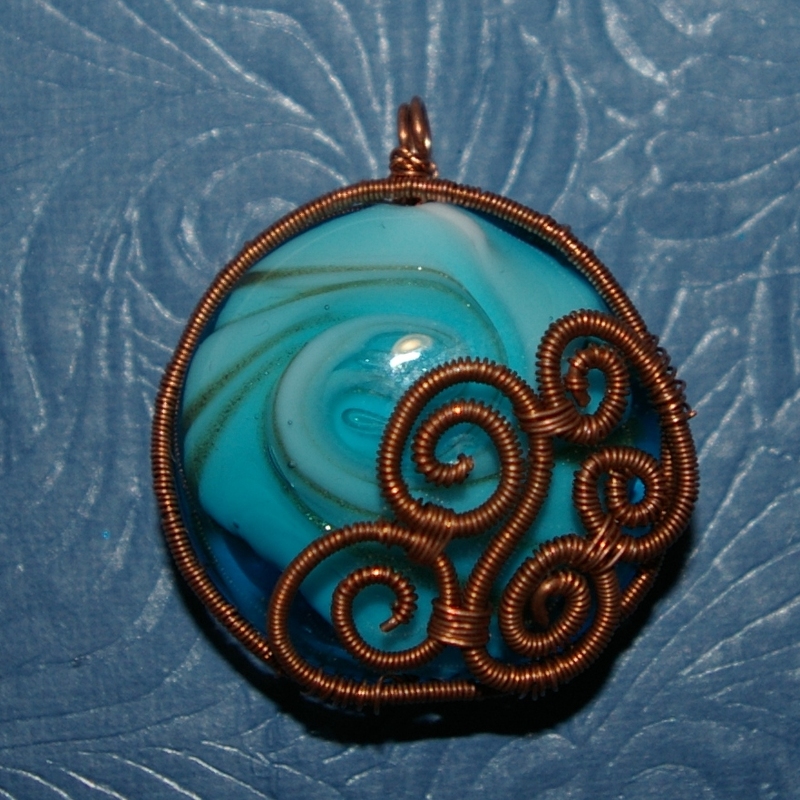 This one is three spirals of colied 0,3mm over 0,8mm wire. Whole thing is 3cm across. One, lonely S on white, silver-lined glass bead. 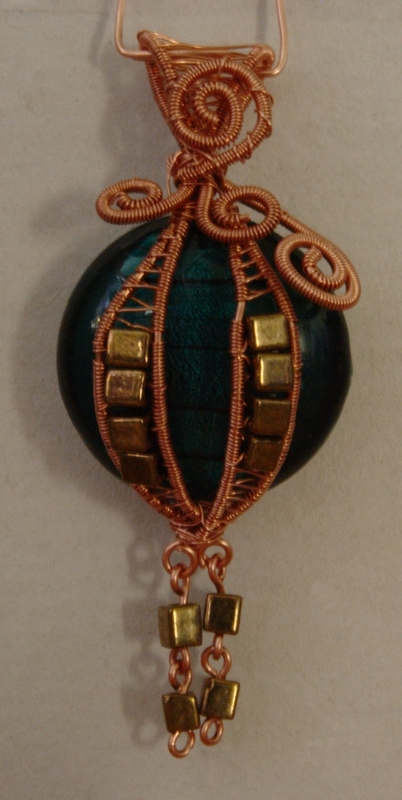 All wire clear copper. 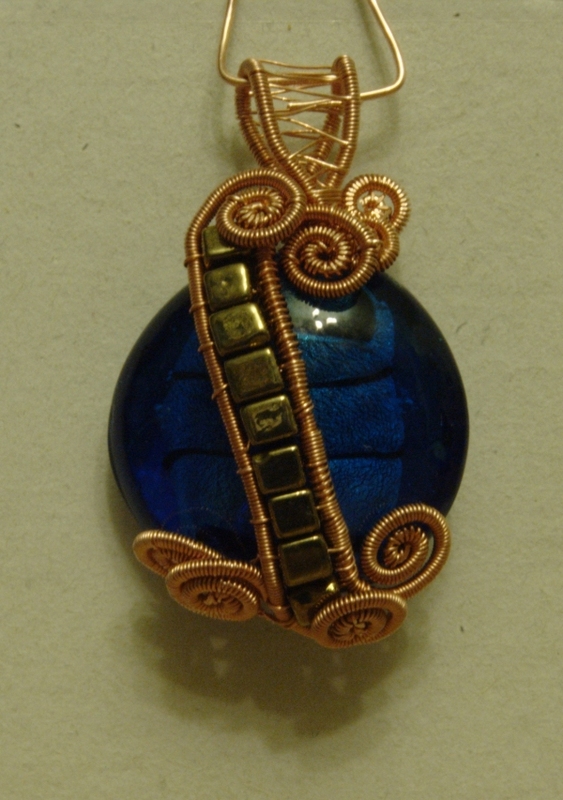 A large, 3cm bead of lampworked glass and pure copper wire. The bead is not silver-lined but filled with milky glass, which gives it slightly cloudy look.